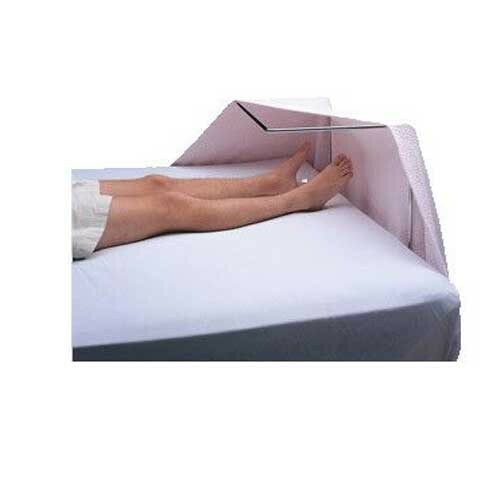 Blanket Cradle is designed to provide relief to the feet and toes from pressure caused by the weight of blankets. 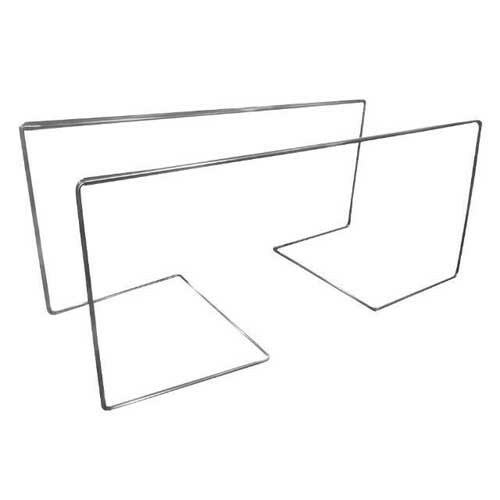 Manufactured by R&B Wire, these blanket cradles are made with 3/8 inch steel wire that is chrome plated. Easy to clean, the bed cradle blanket support system raises sheets and heavy blankets or quilts just above the feet to remove pressure and discomfort. The blanket support lift helps patients who are at risk for toe ulcers or who suffer pain from the constant weight of bed covers. R&B Wire offers two options--blanket cradle and a foot cradle blanket bar. Both devices offer relief for patients and help prevent further injury. For patients who are confined to a hospital bed, the blanket lifter frame is a necessity for a more restful night. 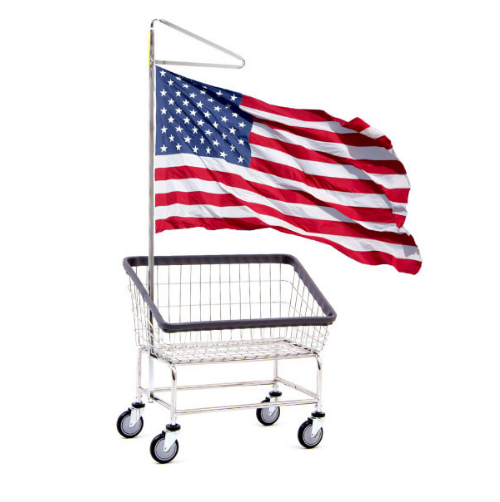 R&B Wire products are manufactured in the USA. Vitality Medical carries many R&B Wire products designed to orgainize and store medical supplies, including the Wire Blove Box Dispenser, Medical Storage Basket and Chemical Bottle Holder. Relieves pressure from feet and toes. Held in place by bed mattress. Constructed with heavy duty wire. Material: steel wire with chrome plating. Fits standard hospital or nursing home beds 48 inches wide. Material: wire with chrome plating.